Urban fishing in Susice. Fishing for stocked rainbow trout, Susice, Otava river, April 2015. Once a year is OK to test the gear. 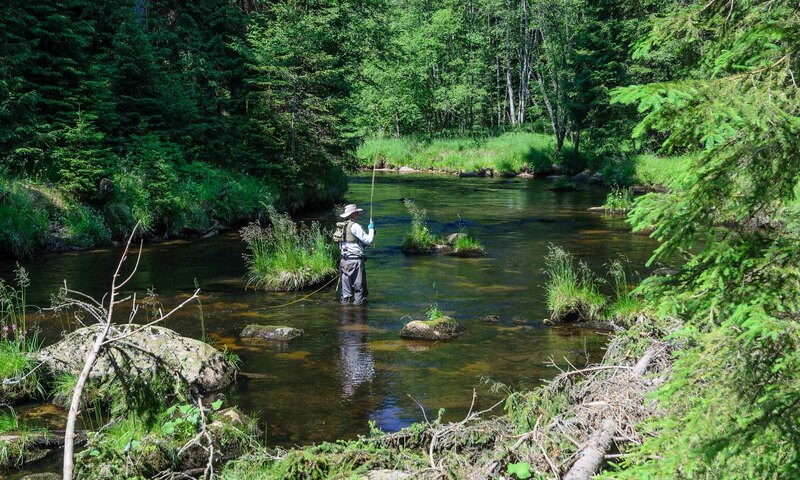 But we prefere fly fishing for wild brown trout and grayling.